A recent Gallup poll found that 37 percent of the U.S. workforce has telecommuted—a fourfold increase over 1995. Once a fairy tale perk that was likely unachievable in most positions, telecommuting is quickly becoming the norm for companies, both big and small. And with the growth of what has been dubbed the “Gig Economy”, or the practice of companies hiring independent contract workers for various projects instead of having a team of full-time salaried employees, there is no doubt that there will be a rise in the use of home offices as well. And as this remote work revolution transitions our cubes into homier workspaces, technology is constantly evolving to keep up with changing needs of remote workers. From artificial intelligence assistants to virtual reality conferencing and web-based organization applications, the introduction of new types of technology will change how we work from home. Once thought of as a science fiction scenario, artificial intelligence (AI) has jumped leaps and bounds in its ability to become a reality for many modern businesses. The most common type of AI in the workplace is an AI assistant, like x.ai. The x.ai assistant, named Amy, can schedule meetings for you through your email. Just simply CC her as a contact in your emails and Amy will email back and forth with your meeting attendees to find the best time and date for everyone, a lifesaver for anyone who is constantly having to schedule meetings. While the x.ai assistant is still in beta, there’s a waitlist open for anyone who is ready to sign up to try the new tool. Despite its origins in the gaming community, virtual reality (VR) is bringing augmented reality to the workforce. The combination of globalization and the continued increase of home office workers is increasing equating to less face-to-face meetings. 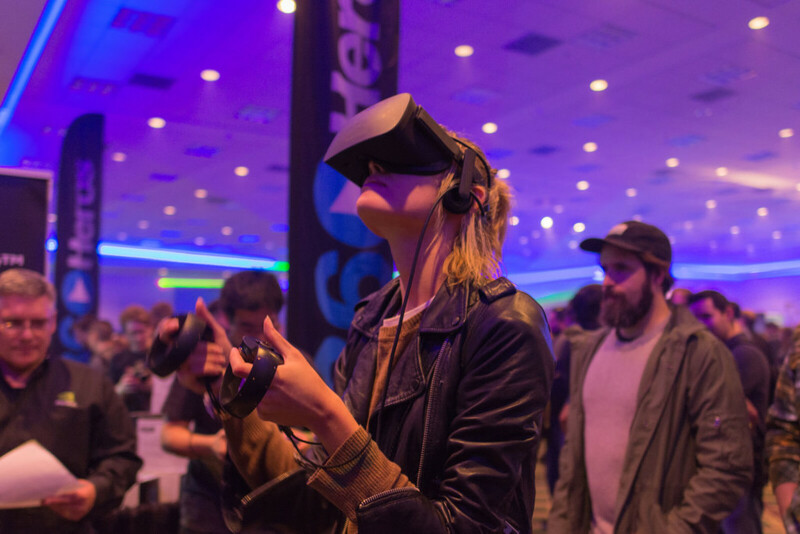 To combat this, the utilization of VR tools, like Oculus VR, would allow people to feel as if they are in the same virtual space together, as opposed to the traditional screen-based teleconferencing. Though still a new (and costly) concept for a business to take on, VR conferencing could take over traditional methods of meeting, saving businesses money on costly travel plans and fix-based video room systems that remote workers can’t always access. Work from home may seem like it’s easier to an outsider looking in, but more often than not, a remote worker’s personal life and work life being to overlap. To help keep control of the personal and professional aspects of a remote worker’s life, IFTTT (an abbreviation for “if this then that”) is a solid choice. IFTTT is a free web-based service that lets users create chains of simple conditional statements called “recipes”. These recipes are triggered based on changes to other web services like Facebook, Instagram and Gmail. From faster scheduling with Google Calendars to reminder for your teams through Slack, and even cataloguing important emails, IFTTT can set up automated commands to keep your professional life more productive. On the personal note, IFTTT can keep you connected through sharing statuses and photos through various social platforms, and can even help keep up with household chores. These items just scratch the surface of new technologies that have been produced within the last few years. As working from home becomes more and more the norm for modern businesses, more challenges will arise and will be met with new sets of technologies that once were thought to be far-fetched concepts. What technologies do you use to help you work from home? Let us know in the comments below. I work from home as an independent digital marketer and couldn’t get by without my top 10 techie tools — some old, some new and in no particular order: 1) Slack for communicating with my largest client; 2) Buffer for scheduling social media; 3) Zoom for video calls; 4) Pocket for bookmarking online content; 5) my iPhone and its numerous apps; 6) Feedly for corralling all the blogs I read; 7) Dropbox for sharing files; 8) PicMonkey for editing photos; 9) Pixabay for free photos; and 10) WordPress, my fave CMS platform.